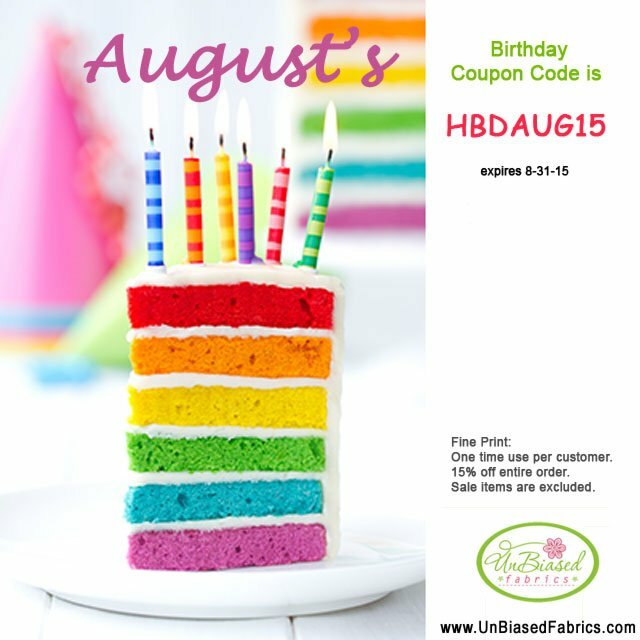 Please use coupon code HBDAUG15 for a 15% off any single order in the month of August. Coupon is valid through August 31st. Sale items are not eligible for additional discounts.